A recent outbreak of a virulent strain of E. coli has killed 19 people in Europe and infected more than 2,000 in at least 12 countries. The source of the outbreak hasn’t been pinpointed but the World Health Organization and the CDC are focusing on fresh naturally grown foods like tomatoes, lettuce and cucumbers which were packaged in Germany. Entire suspect crops are ordered destroyed by the WHO and the CDC every year when an E. coli outbreak is declared. Why does the WHO and the CDC order crops destroyed? In recent years there appears to be a concerted effort by the WHO and the CDC to target only the foods that are essential for a healthy diet and life for millions of people. Foods which helps prevent disease, illnesses and viral infections. Every year the WHO and the CDC issues E. coli outbreak bulletins and they always accuse anti-cancer, anti heart disease and anti-microbial foods like lettuce, tomatoes, cabbage, spinach, peas and beans. No E. coli alert have been made against processed foods that make up the entire menu at fast food outlets. Fast processed foods are linked to heart disease, cancer, obesity, viral infections and a host of other ailments and illnesses. The intent of the WHO and the CDC is to destroy only the healthy natural food groups. Yes the death of 19 people is a good argument in favor of destroying a crop linked to an E. coli outbreak but the destruction of the entire crops affects millions. Without these healthy food crops thousands, even millions will become inflicted with disease, illnesses and viral infections and die. Did you know that E. coli illnesses and deaths can be eliminated entirely with spices? Spices like cinnamon has a long history both as a spice and as a medicine. Cinnamon’s essential oils is an “anti-microbial” food, and the spice has been studied for its ability to help stop the growth of bacteria as well as fungi. Cinnamon’s antimicrobial properties are so effective that research demonstrates this spice can be used as an alternative to traditional food preservatives. 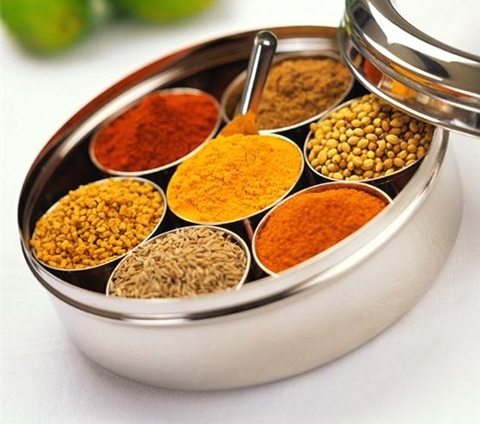 Researchers at Kansas State University have found that spices is effective in eliminating E. coli bacteria. An outbreak of E. coli in 1996 was allegedly traced to unpasteurized apple juice that killed one child and sickened many others. After that E. coli outbreak the US government ordered all apple juice and other fruit juices to be pasteurized – henceforth killing all nutritional benefits of the natural fruit juices. Another E. coli outbreak years before destroyed all nutritional benefits of another essential food – milk. Pasteurization of milk destroys it life giving and anti-disease nutrients – including natural Vitamin D and essential natural probiotic bacteria. Any trace of E. coli in milk is eliminated naturally with raw unpasteurized milk’s probiotic bacteria. Daniel Y.C. Fung, a Kansas State food microbiologist, and Erdogan Ceylan, a research assistant, studied the antagonistic effect different doses of cinnamon alone and in combination with preservatives would have on E. coli bacteria in apple juice. Ceylan added 1 million E. coli bacteria cells to one milliliter of pasteurized apple juice. The number of bacteria cells added to the juice was higher than the amount of bacteria cells that would be found in consumer food products and was done for experimental purposes only. After adding approximately 0.3 percent of cinnamon – roughly over one teaspoon of the spice to a 64-ounce bottle – about 99 percent of the E. coli was killed. Fung’s research found that several spices, including garlic, clove, cinnamon, oregano and sage killed 99 percent of E. coli bacteria. There is absolutely no need to pasteurize, destroy or add harmful chemicals to our natural food supply when preparing and cooking our food with natural spices like garlic, clove, cinnamon, oregano and sage kills E. coli bacteria. More people will die as a result of pasteurization, crop destruction and adding harmful chemicals than from any E.coli outbreak.